Spring is in the air, and it seems that color is finally returning to the region. 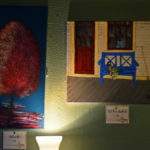 While lush greenery and floral blooms may finally be gracing Medina County’s landscape, the interior of one local coffee shop has been alive with color and art since March. 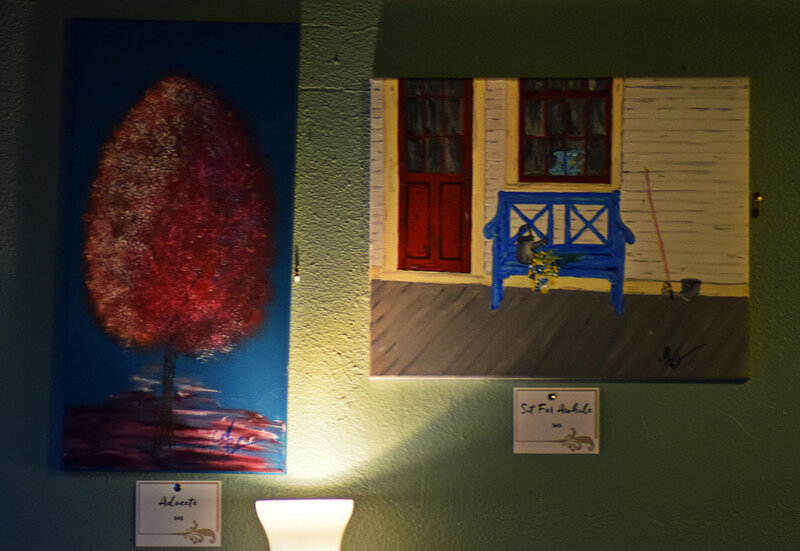 We sat down with local artist Mark Blake to talk about his first-ever art exhibit that debuted earlier this year at Cool Beans in the historic Medina Square. Lifestyle: Tell us about yourself. How long have you been painting? 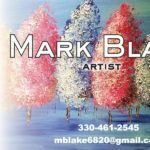 Mark Blake: I started painting about seven years ago. My little sister Michelle encouraged me to put my work out there, but I never thought I was that good. In fact, for my first exhibit at Cool Beans this March, I had to print business cards that said artist on them, and that title alone really put me outside my comfort zone. I actually started painting right after I got sober. A friend of ours knows Laura, the Owner of Cool Beans, so I sent her an email. She asked for some photos of my work. She told me that they normally have an organization bring in art each year beginning in April, but since I reached out to her before their work was on display, all of the work on the walls throughout March belonged to me. Lifestyle: You have such diversity in your art. Where do you draw inspiration from? Blake: It’s just whatever mood I’m in. I keep searching for a style, but so far my primary consistency is in the bright colors. I use acrylic paints, though occasionally I use oil.Those types of paint give you a nice texture, which I love. 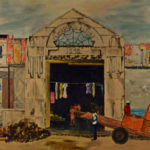 Lifestyle: Do you have any formal art training? Blake: No! None. When I was younger, art was my favorite class in school. 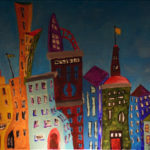 I did a lot of drawing, but I never considered pursuing painting… that is, until I was working in Kentucky. My sister Michelle and girlfriend Vicki came to visit me, and we went to The Artists’ Attic in Lexington. I took in the beauty of their paintings — the colors, the textures — and I was pulled to painting. I knew then that I was ready to try painting. 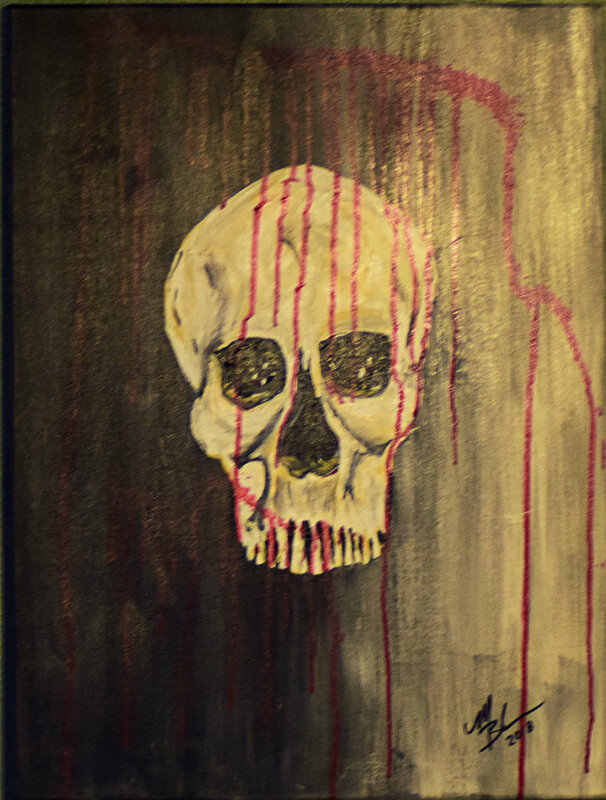 I’ve tried other mediums, but I just keep coming back to painting. Lifestyle: Do you have a favorite artist, or someone that particularly inspires you? I see a lot of Monet and Van Gogh in your brush strokes. Blake: Van Gogh, absolutely! I was looking at some of my work recently and I noticed that the movement of the brush, and the colors… I can see some of his influence in my works. I’m not by any means comparing myself, because there’s never comparison between two artists. Lifestyle: Do you ever find that the community inspires you as an artist? Blake: I love to take in visuals while I’m driving around. I’ll see something eye-catching, and sometimes I’ll paint it. 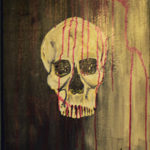 Sometimes it inspires and mood that makes me want to paint. 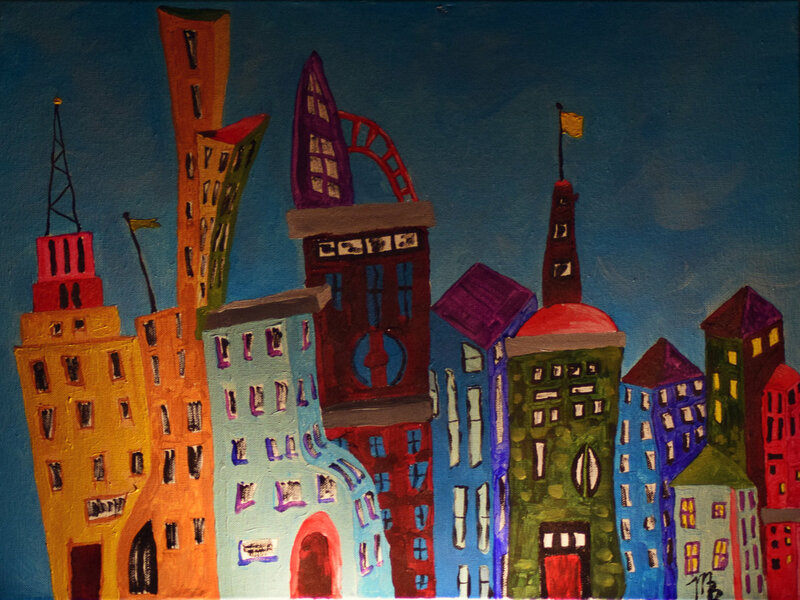 I had a work on display in Cool Beans; a cityscape with a blue background. When I found inspiration for it, I was in New York for work. I was so moved by the city’s beauty. 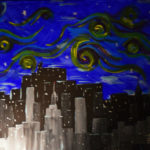 Now, that skyline in my painting isn’t New York, but I remembered the mood that the skyline inspired and painted that. Lifestyle: Of the pieces that were on display in Cool Beans, which piece was your favorite? Blake: Zeus, the dog painting. Zeus was my girlfriend’s daughter’s dog. 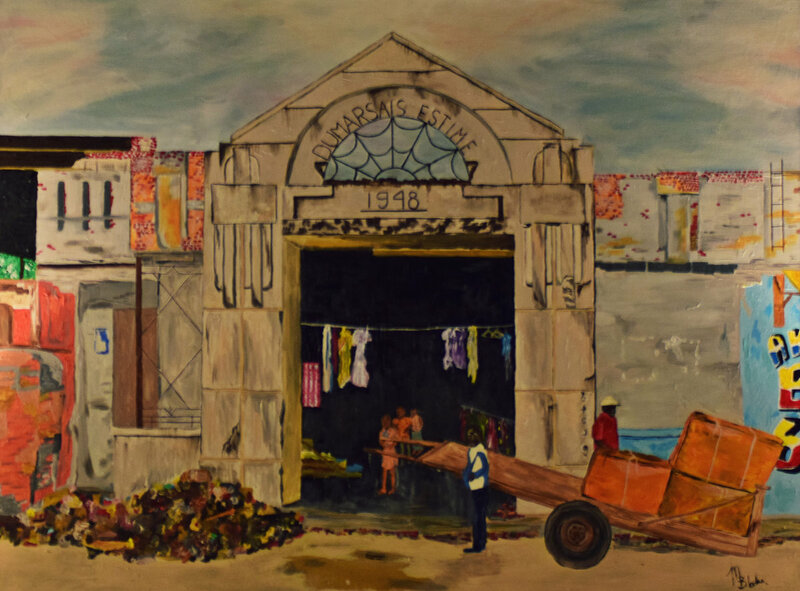 The largest of my paintings on display was actually a market in Haiti, and that is one of my favorites, too. My sister was on a mission for church, and she sent me that picture of their market. 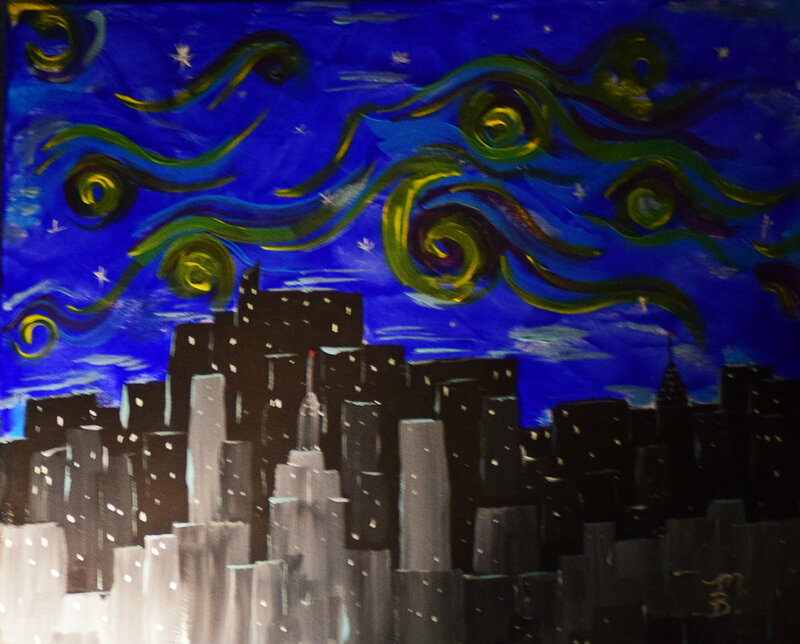 It was so beautiful, so I painted it. That was a six month project. In the original photo, the sky is gray and gloomy. I must have repainted the sky six times to get it where I wanted it. Lifestyle: What is your next project? Do you have anything in mind? Blake: Actually, the owner of Cool Beans talked to me about painting the storefront. I do commission work, and when she found that out she immediately selected a place to hang the painting. She prefers black and white, and I’ve been itching to start working in monochromatic hues, so I am very excited for that and for my work to become a permanent addition to Cool Beans. Lifestyle: It’s definitely good to set goals! Do you have any other advice for aspiring artists? Blake: Don’t give up. Just recently I was looking at a photo I made when I first started, and as compared to where I am now… It’s grade school versus high school. That’s another point I’d like to make — it is okay to measure your progress as an artist, but don’t let yourself get into a situation where you compare your work to someone else’s. It’s so easy to look at others’ work and think, “Well, that is great, and mine is… not.” No two artists are the same. Lifestyle: Are you a full-time artist, or do you have a day job? Blake: I do have a day job. I am a carpenter by trade, and I did carpentry for 30 years. For many years, I found myself struggling with addiction. Come June, I’ll be celebrating nine years of sobriety. When I first got sober, I found myself working for a communications company, and I spent eight years there. I was on the road for seven and a half of those eight years. I loved to paint while I was on the road, but I recently went back into construction. My stepfather started a construction company when I was 13, and he told me that I’d be working with him. I was kind of forced into construction, but then I realized that I liked it. There’s just something about working with your hands that inspires my inner artist. Lifestyle: If you could display your art in any one place, where would you like to see it? Blake: God gave me this talent, and I want to see where it takes me. I hope it takes me back to the very museum in Lexington where I was initially inspired. But Cool Beans was truly a spectacular first-exhibit location. The timing worked out, and Medina Square is so beautiful and bustling. Lifestyle: When I first saw your exhibit, the young lady at the register in Cool Beans was gushing about your beautiful work. Have you received similar feedback from the community? Blake, laughing: Yes, so far so good! I’ve done this for several years, so up until now I received my feedback from friends and family. To me, the ultimate compliment was from Cool Beans. Just by considering my work worthy of display, I feel so humbled. 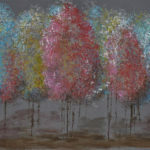 Lifestyle: How should our readers go about contacting you if they would like to purchase or commission a work of art? 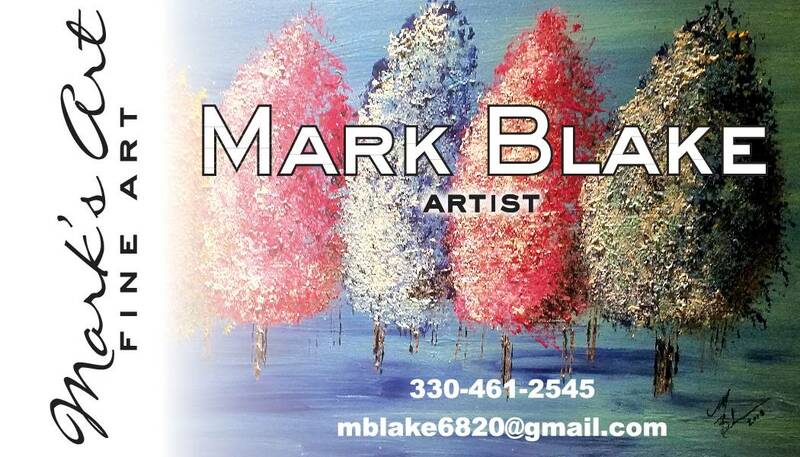 Blake: I can be emailed at mblake6820@gmail.com or contacted via call at 330.461.2545.